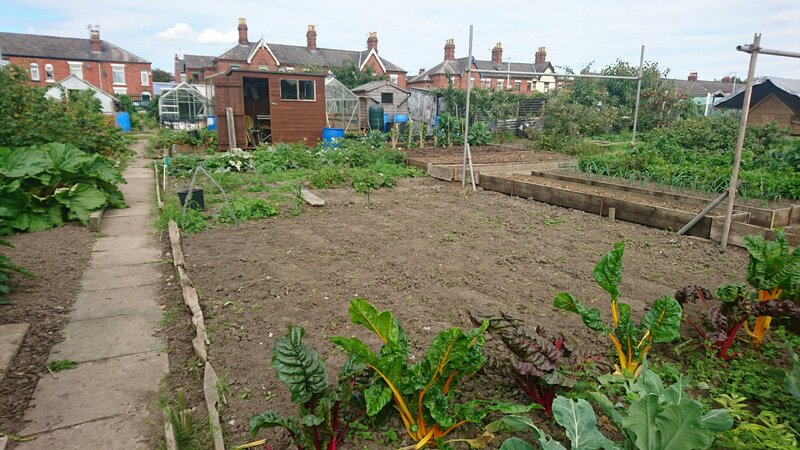 Today was a full day down the allotment – chickens fed and watered. A couple of eggs but then it was still early. Molly has been moved back into our main coop and is bearing the brunt of the arguments between the chickens. Hopefully she will stand her ground and they will all settle down in a couple of days. Millie continues well and has been moved into a bigger enclosure with two of Cliff’s chicks. 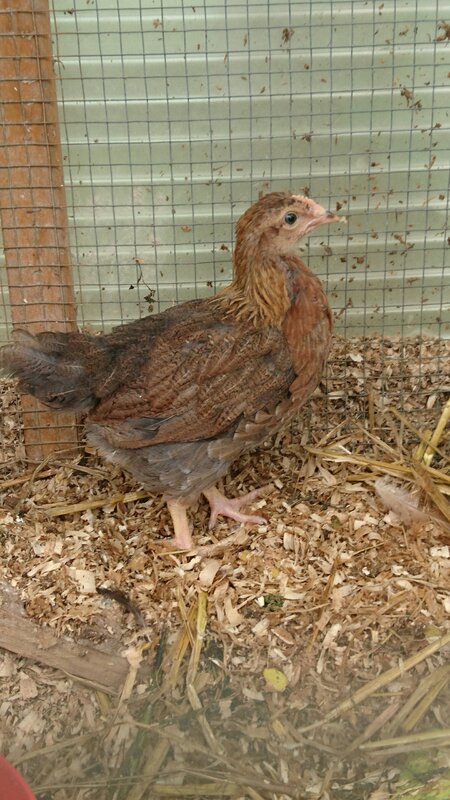 She has settled in well and will move into the main coop when she is bigger. 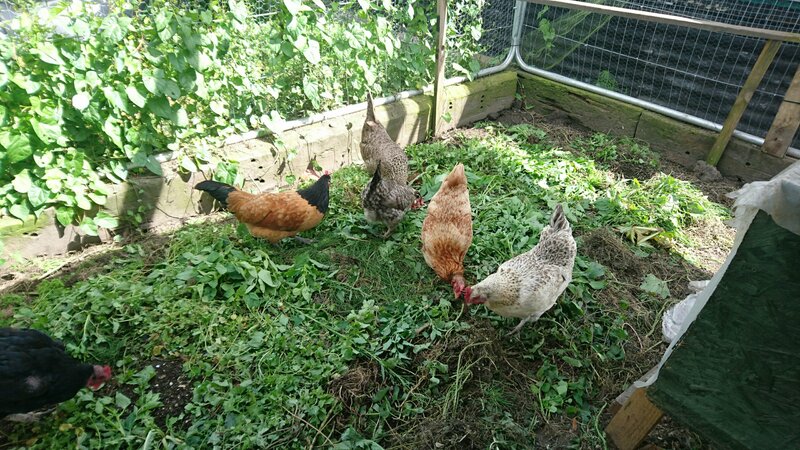 Chickens sorted, it was back to weeding. 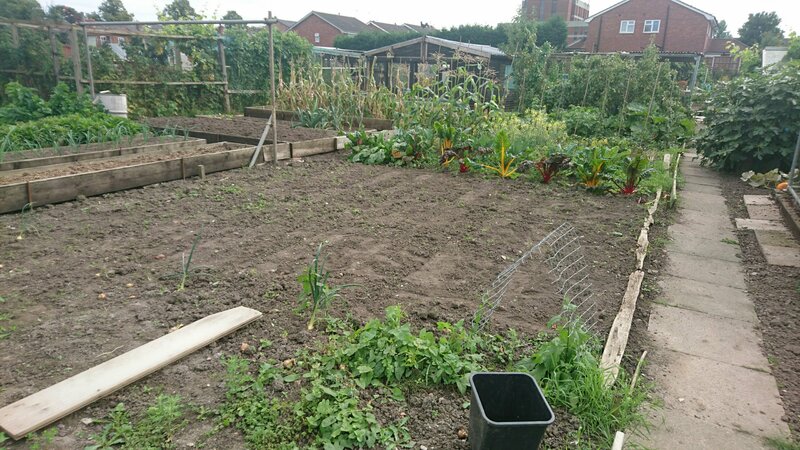 Several buckets of weeds later, the ground was much clearer and I took a break for a well deserved drink. Phil and Steve appeared in the early afternoon to do the bee check. Steve was in charge of the smoker and supervised Phil checking on the first hive. This hive really has settled down and after the mite treatment the newly hatched bees seem to be free of the wing deformities which we saw a couple of weeks ago. We will keep a close eye on this colony for more mites as well as feeding them sugar water over the winter. As an added bonus I even spotted the Queen! We have only ever found her once before and it was weeks ago. The fundamental issue is trying to find a large black bee in about 10,000 black bees…. Sadly I couldn’t get a photo in time! The other hive has grown significantly and we’re more active today. 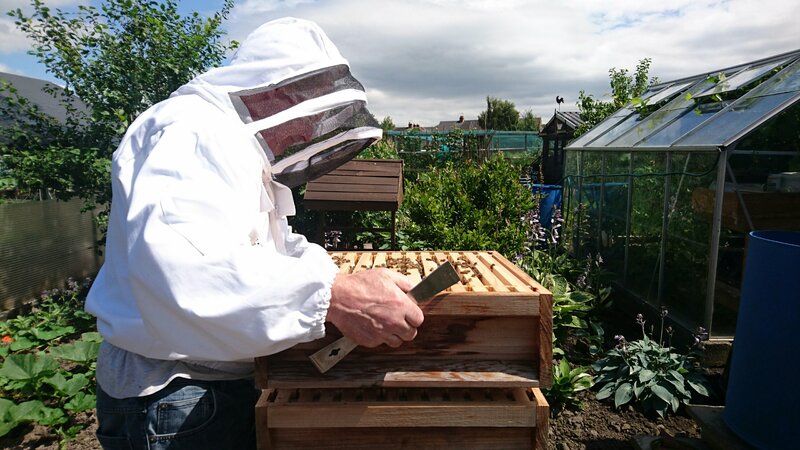 I completed the hive check on my own with Phil and Steve helping to move the heavier brood box and honey supers. 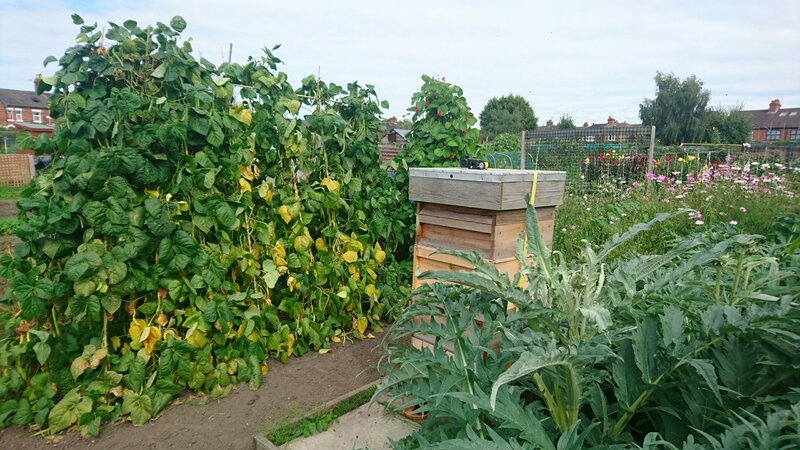 Phil and Steve found the Queen in this hive – she is long and a golden orange the entire was down her thorax so easier to spot than the other Queen. 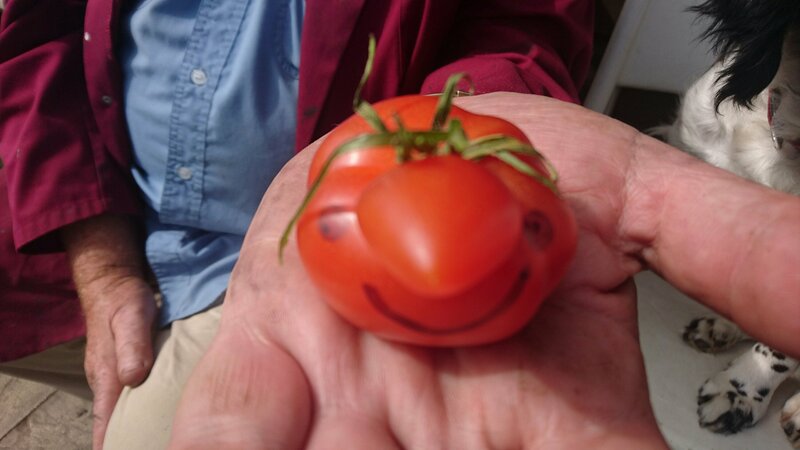 A smiley tomato to make you all smile!